This blog post is actually t share one of my utility script. We all write scripts to automate our tasks. We often(or always) write scripts which will be consumed by an end user as well. In this case logging is an inevitable part for a script. We all(at least me) start developing a script initially without any logs and once the skeleton is ready we will start putting enough logs to it and one of the most important part of logging in a script is the user inputs log, We should be logging the values provided by the end user(except secrets), which will help anyone to troubleshoot if the script fails. I always had situations to put or enhance logs for existing scripts. As a person who loves automation, I thought of automating the maximum possible for this, which actually ended up in this small utility script. The below script will allow us to get the expression that we can put in our Script and covers the user inputs, basically the parameters and its values. I have been into a problem many times during 3/4 months. 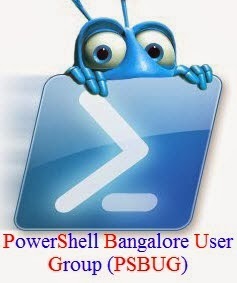 Something crazy was happening to my PowerShell console(not always) . Being busy with work, I always close and re-open the console to get rid of it. Finally, one fine day I found the problem and just thought of sharing it here as any one can get into the same trouble. While using the PowerShell console, suddenly from one point, console stopped showing output. Any cmdlet/script execution after this point will not be showing its output even though the cmdlet/script I execute is doing what it has to do. Why I'm sure about the execution completion is, If I pipe it Grid view or redirect to a file, I can see the output. I thought of digging into this crazy behaviour and started by comparing output of Get-Variable cmdlet of current session to a working session. From this comparison, I got the hint for finding the root cause of this problem. from the output, we can assure that the delta is of $Error variable and it is of the console where the problem is occurring. I then realised that , the problem is because of a code which sets the Window title, and the error is because of an attempt to set the Window title with more characters than it supports(max is 1023). Finally I found the culprit in my $Profile script. I have my prompt function overwritten via my $Profile script. Below is my prompt function. Here the $^ last expression is causing the issue for me. While using the console, I use to paste function definitions directly into the console, If I do that, the last expression becomes the whole function definition, which will be pretty big(more than 1000 chars), If done so, the window title will become pretty huge including the last expression which is the function definition I pasted. Hence, the prompt function throws exception while setting the $Host.ui.RawUI.WindowTitle . So nothing is thrown to the output stream. Have fun exploring the shell !! !